For most people, buying a home is the biggest investment they'll make in their life. Not only is it a huge financial undertaking, but your final choice is a decision you'll be living with for the foreseeable future. The process may sound daunting, but by taking the right steps, buying your perfect home doesn't have to be stressful. 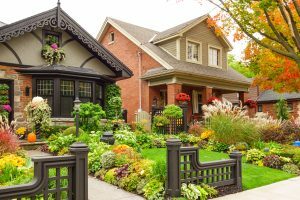 What Is a Perfect Home? The first step to ensuring you're buying your ideal property is identifying what "perfect" means to you. It may sounds obvious, but the easiest way to start is by making a list of your priorities. What is a "must-have," what would be nice and what isn't important? If you're buying with a partner, make sure you compare lists and decide what can be compromised on and what will be the deal-breakers. Experience is key here—we've all lived in places that at first glance we thought were suitable, only to find out later that the kitchen we initially thought was cozy was actually far too small for our needs, or that the seemingly bright living room only gets direct sunlight for a few hours a day. Don't be afraid to ask friends and relatives about their experiences either, as they may be aware of something you hadn't thought of. Before scouring the market for your ideal property, you need to know what you can afford. By getting pre-approved for a mortgage first, you'll know exactly how much you can borrow based on a professional assessment of your finances. Ultimately, this will make the whole process much easier. A trap that many buyers fall into is assuming that the maximum amount they can borrow is what they should spend on their new house. Look at what your monthly repayments would be and ensure that your budget factors in all ongoing maintenance costs, any fees you may incur from the buying process and any improvements you may want to make in the future. Your budget should also allow you to put funds aside each month for emergency maintenance. If your heating system fails one winter, do you have the savings to fix it? Lastly, think about any potential changes to your income you may face in the next 5-10 years, how they could affect your ability to make payments, and whether there are any safeguards you can put in place. Purchasing a home can be extremely difficult without assistance from industry professionals; having the right team can be the difference between a smooth buying process and a costly disaster. Hiring a real estate agent provides numerous advantages. An experienced REALTOR® can find properties that you may otherwise miss, negotiate prices and recommend lenders. They'll also be able to answer any questions you may have about a property, as well as any you may not have even thought to ask. When it comes to lenders, be aware of the different types of loans available to you and how they can impact your long-term finances. Just because one lender is prepared to loan you more money doesn't necessarily mean they're your best option. It's not uncommon for buyers to find their perfect home, only to discover too late that the area it's in is far from ideal. Take note of what you like about your current neighborhood and what you would change, and bear this in mind when scoping out potential locations. Take the time to explore the two-mile radius surrounding the property. Drive around in the daytime and at night. Would you feel safe and comfortable walking around the neighborhood at these times? Test your commute between the property and your workplace during rush hour. Could you do it every day? You can even spend a Saturday afternoon politely knocking on a few doors and asking your potential neighbors how they feel about the area. Finally, remember that just because certain aspects of the location won't affect you, it doesn't mean they won't be important to someone else if you decide to sell the property in the future. Even if you don't have children, being in a good school district can add up to 20 percent to your house value. Carrying out thorough research on a property and area before you buy can take time and money, but the benefits far outweigh the cost. Look at general property values in the local area and study how they have changed recently. What are similar homes in the neighborhood selling for? This will help you decide whether the asking price is fair and could indicate what may happen to the value of your property in the future. A professional home inspection will cost a few hundred dollars, but could end up saving you thousands in the long run. If they find any potential issues with the home, you can request the seller makes repairs on the property, or use it as a bargaining tool to lower the price (and cover any costs the repairs may cost you). It's also worth having a map of the property; a survey of the land means you'll know exactly what you own, which can resolve any possible border disputes should they arise. A perfect home isn't just for now; it's for the future, and there are two ways to look at this. Firstly, it's important to visualize whether you can see yourself living and growing there. Try and imagine yourself and your family in each room and whether it feels "right." You also need to look for the potential in the property if you decide to expand or refurbish parts of it. You might not be planning to do this anytime soon, but it's important to know you'll have the option later on. The flip side to this is remembering that a dream home is something you build yourself. Don't get put off by superficial things like the color of the walls or the shade of the carpets. In the long run, these things can be changed relatively inexpensively. Not all houses are going to be in the best condition when you see them, but, with remodeling, you can add your own style and touch to a home and truly make it yours. Remember that houses are generally not perfect to begin with, and there will always be things that could be different. If you're flexible, it's easier to move in and start creating your dream home. Eliot Ward is a REALTOR® for Harvest Park Group in Draper, Utah. Prior to being an active real estate agent in Utah, he was a broker in California and was the broker of record for a property management company with close to 2,000 leases.